If you have been diagnosed with chronic obstructive pulmonary disease (COPD), there may be times when acute respiratory symptoms will suddenly flare up. We refer to these as COPD exacerbations. COPD exacerbations are concerning because they complicate an already serious condition. With COPD, any damage incurred by the lungs tends to be permanent and may end up speeding the progression of the disease. By understanding what triggers COPD exacerbations, you may be able to avoid flare-ups or better manage the symptoms if and when they arise. 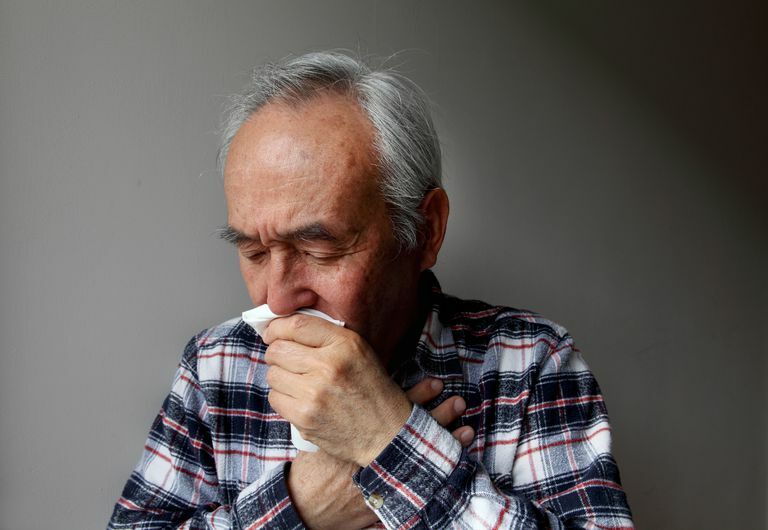 Bacterial and viral infections of the lungs (such as pneumonia) are common triggers for COPD as are smoking, air pollution, exposure to toxic fumes, strong odors, and airborne allergens such as dust, pollen, and pet dander. With that being said, in around a third of cases, a cause is never found. Smoking is not completely stopped. Short- and long-term inhalers are not properly used. Oral medications are not taken as prescribed. The person only relies on drug treatment and doesn't participate in a holistic pulmonary rehabilitation program. Because COPD can differ from one individual to the next, you need to work with your doctor to design a treatment plan appropriate to your condition and lifestyle. There is no one-size-fits-all solution when it comes to COPD. During an acute COPD exacerbation, the lung will experience the tightening of airway passages, the increased production of mucus, and inflammation triggered by the activation of the body's immune defenses. COPD exacerbations can often be treated with rescue bronchodilators that help open the airway passages and reduce inflammation. Other treatments may be used depending on the stage of COPD and the severity of symptoms. In persons with advanced disease or those experiencing severe respiratory distress, hospitalization or in-home nursing care may be needed. Treatment may include intravenous glucosteroids and invasive ventilation (in which an oxygen tube is inserted into the windpipe). Stop smoking by engaging in a fully supported treatment program. Get immunized with both pneumococcal vaccines and booster shots. Get the annual flu shot which can reduce your risk of serious illness by 50 percent. Exercise regularly to improve cardiovascular and respiratory capacity. Even if you have advanced disease, routine physical activity can significantly improve your health and ability to function. Eat a balanced diet to either lose weight if you are obese or gain weight if you are underweight. Wash your hands regularly to avoid infection. See an allergist if you are prone to seasonal allergies. Stay indoors and shut the windows during the height of allergy season, and speak with your doctor about prescribing the appropriate antihistamine. Never allow your inhaler to run out. Be sure that they are routinely cleaned so that they aren't clogged when you need them most. Get plenty of sleep to keep your immune system in the best shape possible. Dhamane, A., Moretz, C., Zhou, T. et al. "COPD exacerbation frequency and its association with healthcare resource utilization and costs." Int J Chron Obstruct Pulmon Dis 2015; 10:2609-18. DOI: 10.2147/COPD.S90148. Global Initiative for Chronic Obstructive Lung Disease (GOLD). (2017) Global Strategy for the Diagnosis, Management, and Prevention of COPD. How Can COPD Patients Prevent Exacerbation With Flu Shots?